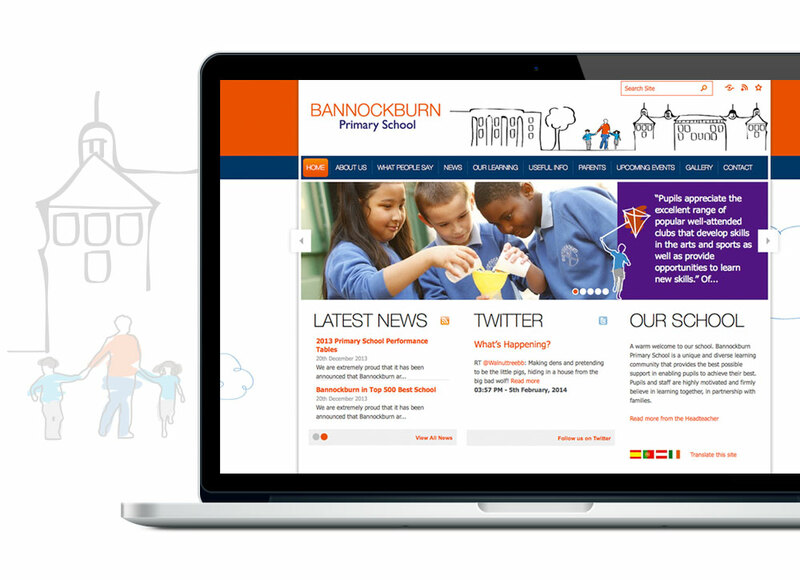 Bannockburn Primary School asked Cleverbox to undertake a full rebrand of their marketing materials. Starting with the logo, we developed a new look that is playful and contemporary, full of colour and energy. A straightforward and clear website is given personality with the illustrative elements of the brand brought through the pages.